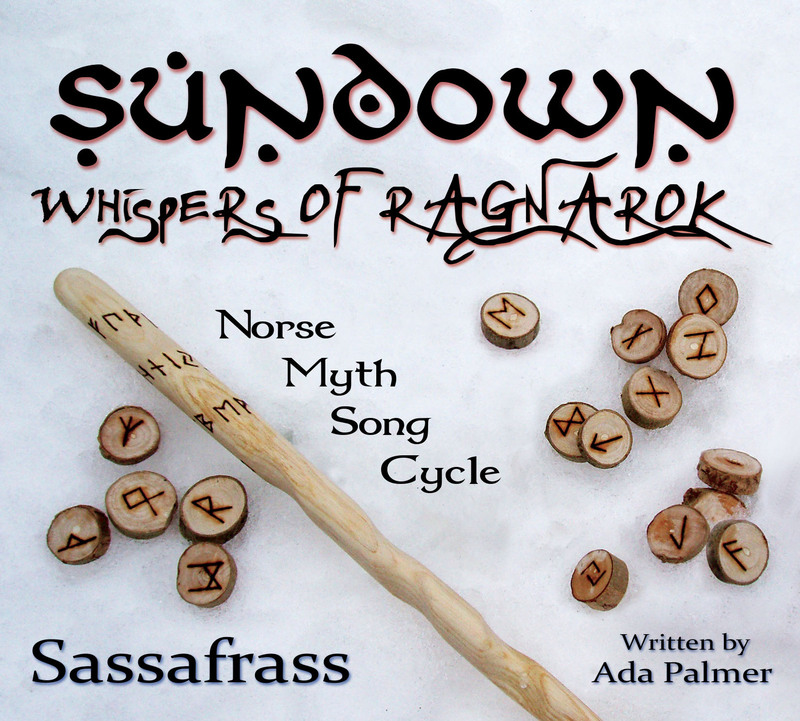 My biggest musical project is a Norse-mythology-themed song cycle, Sundown: Whispers of Ragnarok. 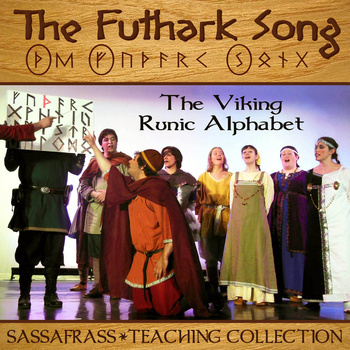 The songs narrate the history of the cosmos according to Viking legend, from the creation of the world to Ragnarok and the new world beyond, focusing on the death of Baldur, and the strife between Odin and his blood-brother Loki. The cycle also treats the historical events of late Medieval Iceland which produced the manuscripts in which the myths survive, and examine the period’s most important author Snorri Sturlson. The songs are available streaming free online, as digital downloads, and as a physical CD and DVD. There are also DRM-free PDF ebooks of the full score and the libretto with 90 pages of historical notes. You can hear more of my music streaming online for free (and purchase downloads) through Bandcamp. The Sundown Project is both an album and a stage play, performed in period costumes. We used Kickstarter to raise funds to produce the DVD of the stage performance (available here), which debuted at Balticon in May 2013. The play focuses on the last days of Icelandic scholar-statesman Snorri Sturlson (1179-1241), the author of the Prose Edda, which is one of our two most valuable surviving sources of Norse myth. The play imagines Snorri’s final efforts to pass on the stories of gods and giants that he spent his life collecting and preserving.